Seagate has quietly added two enterprise-grade HDDs to its Enterprise Capacity lineup of hard drives. While the 'Enterprise' name has recently implied high-density products, the new 3.5” drives only store one or two terabytes of data and are aimed at businesses seeking for high reliability, 512 bytes sector size, but not a lot of storage space. In the recent years, we observed two main trends on the market of HDDs: the number of drives sold has been decreasing because of strong competition from SSDs, but their average capacities have been increasing because of new technologies (e.g., helium, SMR, the evolution of PMR, etc.). Enterprises and operators of cloud data-centers are the primary consumers of high-capacity hard drives because such drives help them to reduce their footprint and optimize power consumption. Since such HDDs are used in multi-drive RAID environments and are subject to heat and vibrations, they are based on special platforms that ensure their long-term reliability (by using a motor attached to both top and bottom covers, dual-plane balance control, improved heads, special firmware and so on). Because such drives offer higher capacity, they are harder to make and test. Also, on top of a longer typically-business style warranty, they naturally cost more than desktop-class HDDs. Meanwhile, due to overall benefits they bring, cloud service providers and enterprises are willing to pay a premium for such HDDs. As it appears, there are also customers who need hard drives with improved reliability and performance, but who are not interested in very high capacities or the latest technologies. The new Seagate Enterprise Capacity 3.5 HDDs with 1 and 2 TB capacities are based on the latest PMR platters and feature a native 512-byte block size, which is a requirement of some legacy applications. The HDDs have a 7200 RPM spindle speed, 128 MB cache and a SATA 6 Gbps interface. When it comes to performance, Seagate declares 194 MB/s max sustainable transfer rate, 4.16 ms average latency and up to 7 W power consumption. The 1 and 2 TB versions of the Enterprise Capacity 3.5 HDDs are rated for 24/7 operation, up to 550 TB/year TBW and offer all the enterprise-grade features that the higher capacity models, including on-the-fly error-correction algorithms, PowerChoice technology (enables data-center managers to lower power consumption of HDDs during idle time), RAID rebuild feature and so on. 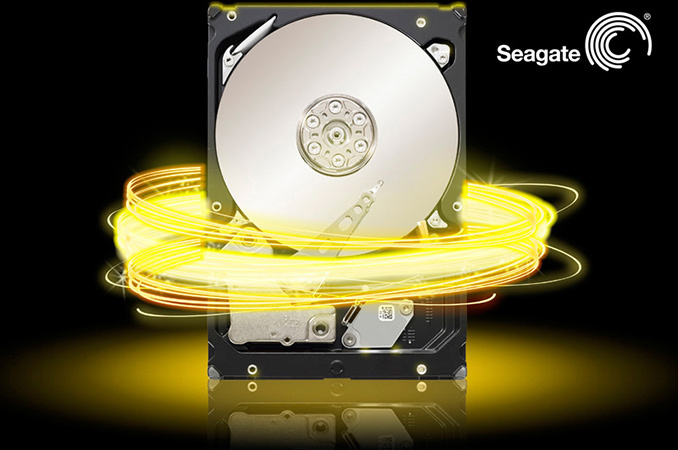 Seagate did not announce exact pricing of its Enterprise Capacity 3.5 HDDs with 1 and 2 TB capacities. It is logical to expect such drives to cost less than higher capacity models, but do not expect them to cost like desktop HDDs because we are talking about models with enterprise features, which are physically different to other hard drives. Seagate targets very specific SMB and enterprise customers with its entry-level Enterprise Capacity 3.5, so, pricing per-GB will not be a bargain. Meanwhile, the HDDs are covered with Seagate’s five-year warranty and have MTBF rating of two million hours. actually now i realize the whole hoopla about hdd bigger than 2TB or and running into situations where the system (motherboard/chipset) wouldn't recognize it properly back then. Because conventional HDD's can actually be recovered at the physical level if they stop working from anything short of a physical head crash (highly unlikely in a server or even business environment), degaussing (really unlikely except in a fire), or physical destruction. In both the of the last cast cases, SSD's also wouldn't survive. Of course, even short term, cells in SSD's lose information if not refreshed (on the order of weeks or months), SSD's have shown an annoying propensity towards bricking themselves and being unrecoverable after having the power suddenly pulled (yeah, that still happens in the real world), and of course there is our good friend electricity/static shock which actually can fry the flash memory chips themselves, rendering them completely unrecoverable. Spinning HDD's, for all the crap we talk about them, are surprisingly robust when properly used in server environment, and especially so when it comes to things like suddenly having the power pulled from them mid operation. Worst case scenario here is you have to use a recovery program to get your data back, not send it off to a recovery company and pray that it's actually recoverable. They also don't have EOL built in bricking features (I'm looking at you Intel) to "protect your Data" from premature loss either. I'm really curious as well as to exactly who these are aimed at. I know here in my small business these would be great to have assuming that they are indeed hyper-reliable. I have quite a bit of business data that I need to keep safe (yes, I have dual remote backups offsite), but of course going down is a PITA. Right now I'm running dual 250GB ES grade HDDs which I picked up pretty cheap, but of course there comes a time when they will need replacing (smart monitoring indicates exactly zero issues even though they're 10 years old!!! zero pending sectors, zero write failures, zero remapped sectors). Legacy systems that can't be replaced or upgraded.